First you discover the infinite world of planners. You then begin the massive investigation of which planner is right for you. Once you´ve finally decided on that amazing planner and it´s freshly opened from the package, you can´t wait to set it up and find the organization system that will help you most in taking care of your tasks. It´s Youtube video after Youtube video. "Color coding? Week on a page? Shouls I use my monthly spread? Maybe I should have a separate notepad for this...this should be laminated because it´s a daily thing..."
What seems to be an endless search for that planner peace system that works somehow arrives. What happens when you have that system that works so well, that beautiful planner that you spent your money so lovingly on? Now how can we channel our excitement? It´s time to share your pages on Instagram. You make a setup video on Youtube. And after all of that you being the frenzy of DECORATING! Decorating seems like it´s the most important thing at the moment, your pages are just too boring and seeing those tasks without a little sticker here and there just don´t seem like they will get done. The addiction of watching decorating videos takes its turn. "Oh! I like how she does this! What a good idea to cover this ugly spot with washi tape. Oh yes! We can also use embellishments!" Of course, now it´s your turn to film those decorate/plan-with-me videos on Youtube. But after a while, pretty soon your planner has so much color and pop art going on that your tasks get lost. Somehow, somewhere, your planner peace is long gone, and your system has gone awol, it no longer works! We analyze if the planner we had chosen to begin with was not what we were searching for after all, or maybe it´s the fact that you now have started tracking new things in your life and this planner is not enough. It´s FULL CIRCLE all over again. We never stop searching for motivation, for inspiration, for supplies, for perfect covers, dashboards, maybe even decide to use multiple planners. The cycle never ends. 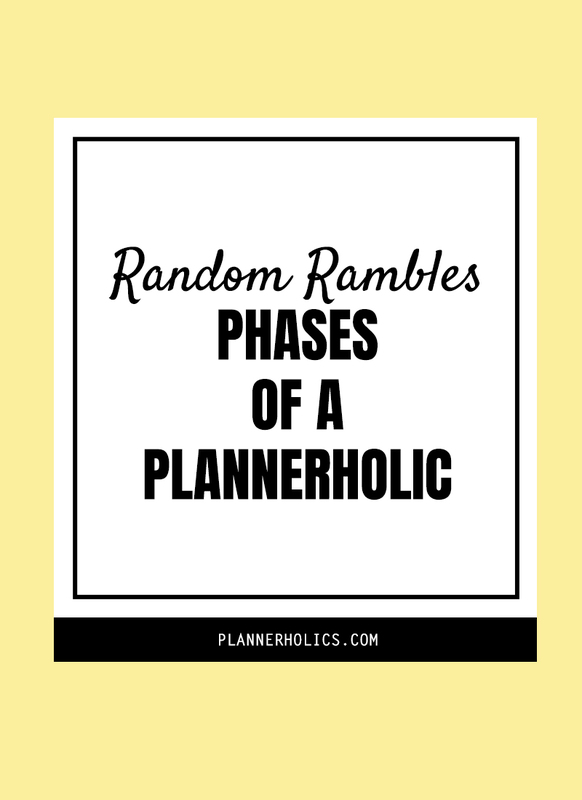 What is your cycle into the planner community?